Easy Cannoli Recipe, sweetened ricotta and mascarpone cheese layered with crumbled cannoli shells and mini chocolate chips! You won’t believe how delicious this easy cannoli recipe is! 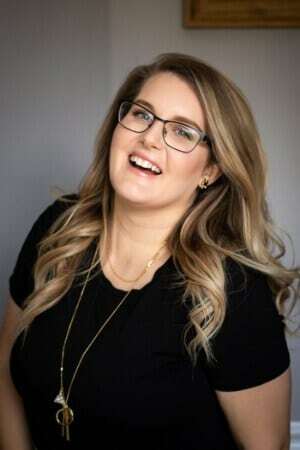 First off, I have to say a big thank you to DaVinci Wine for sponsoring this post! Without sampling their DaVinci Chianti, I would have never dreamed up these dreamy (and creamy!) 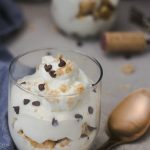 cannoli parfaits! 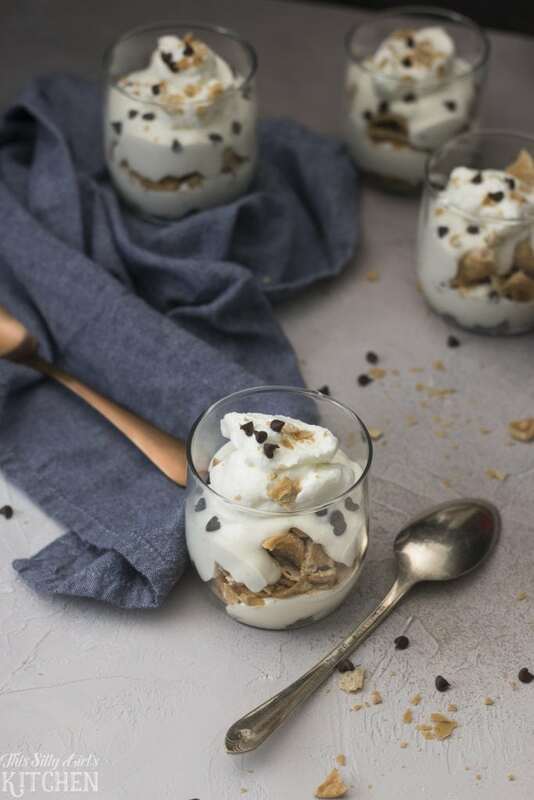 If you love traditional cannoli, then you have to try these parfaits! I think they are easier to make as well since there is no piping! I used mini cannoli shells but feel free to use regular sized, you are just crushing them up anyway! My shells were purchases from a bakery that sells cannoli but you find them easily here! This easy cannoli filling is so good you won’t miss making a traditional cannoli! Mix together the ricotta, mascarpone, some of the powdered sugar and the vanilla. In a separate bowl whip the heavy cream and remain powdered sugar. Fold in half of the cream, salt, and some of the chocolate chips into the ricotta mixture. Layer the crushed cannoli shells, riccota mixture, and remaing chocolate chips. Top with remain whipped cream and enjoy! 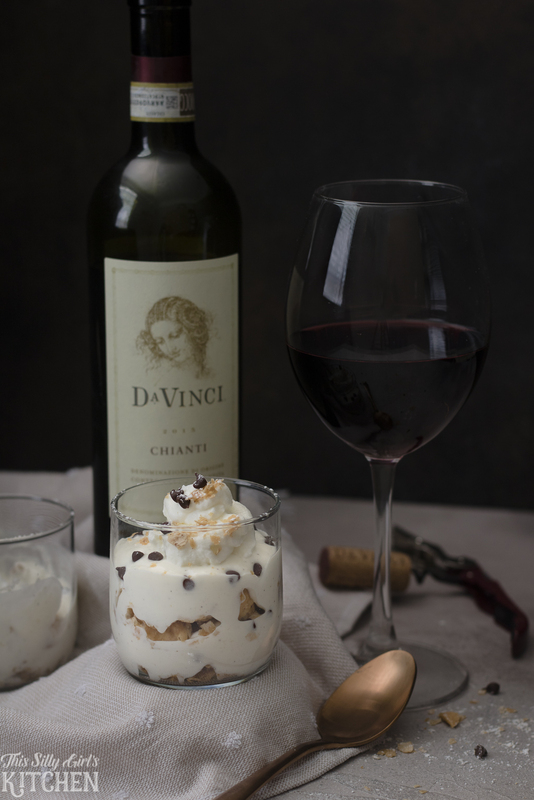 The parfaits are light and creamy, a nice contrast to the robust Chianti wine. You have to make this easy cannoli recipe asap! Does cannoli have mascarpone in it? Traditional cannoli filling does not have mascarpone cheese. 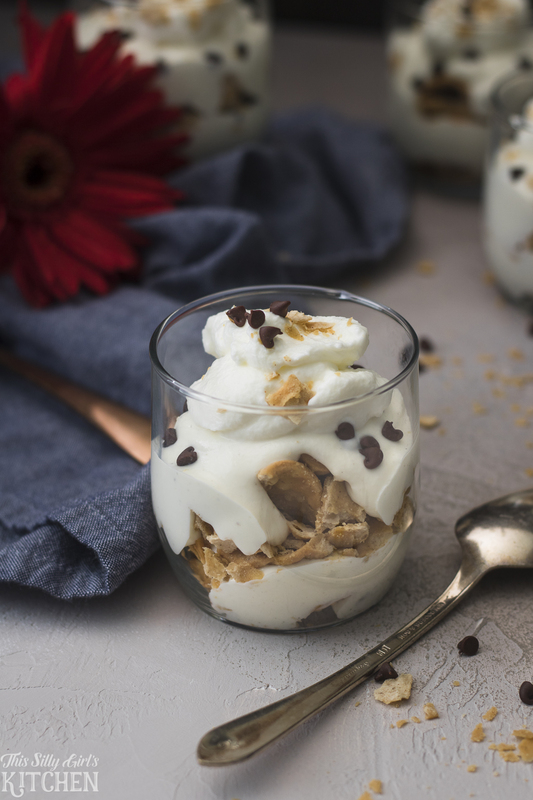 I added it to this parfait because I wanted the filling to be extra creamy and decadent. You could go crazy with these. 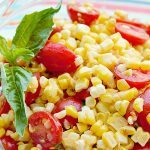 This to me is a base recipe to add in so many additions: fresh raspberries, pistachios, or hazelnuts! 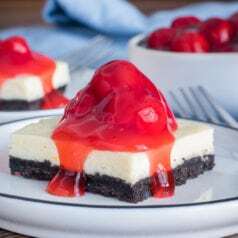 If you like this recipe make sure to check out my tiramisu pie, mini banana puddings, and this strawberry cashew parfait! Lightly crush cannoli shells by hand, set aside. In a medium sized bowl, mix together the ricotta, mascarpone, 1/2 cup of the powdered sugar, and vanilla until smooth. In a separate bowl, whip the heavy cream and remaining powdered sugar to form soft peaks. 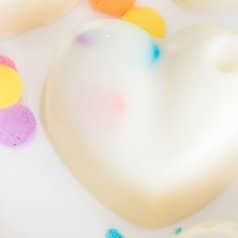 You can do this by hand with a whisk or with a handful mixer. Fold in half of the cream into the ricotta mixture. 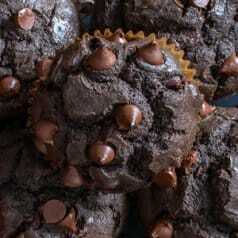 Fold in the salt and 1 tablespoon of the chocolate chips. 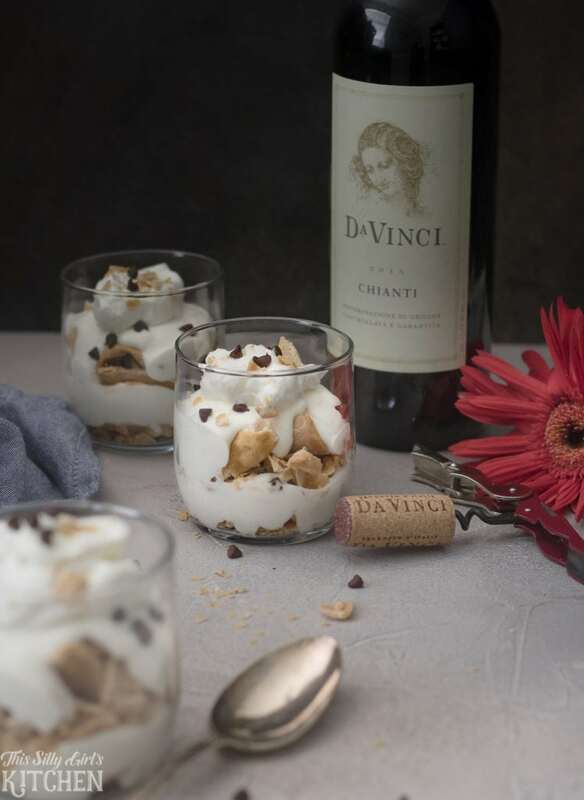 Layer the cannoli shells, ricotta mixture, and chocolate chips in small glasses. 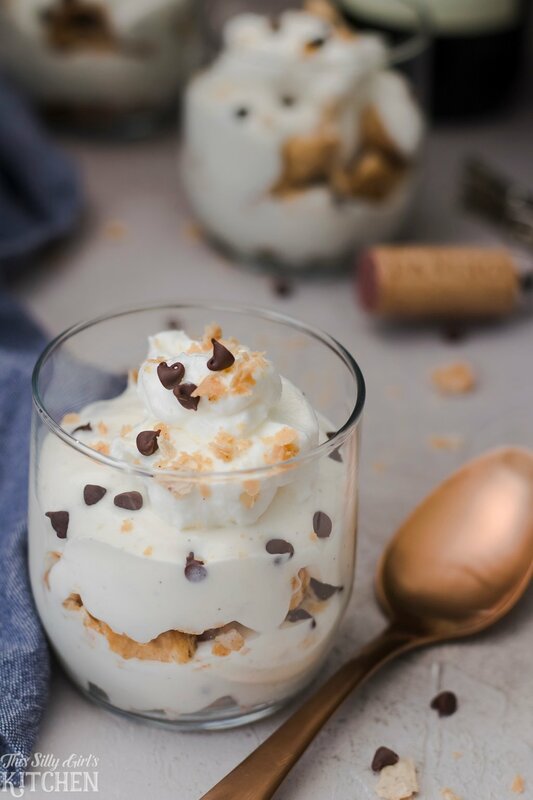 Top with remaining whipped cream and garnish with cannoli shell crumbs, chocolate chips, and a light dusting of powdered sugar if desired. This all looks amazing. 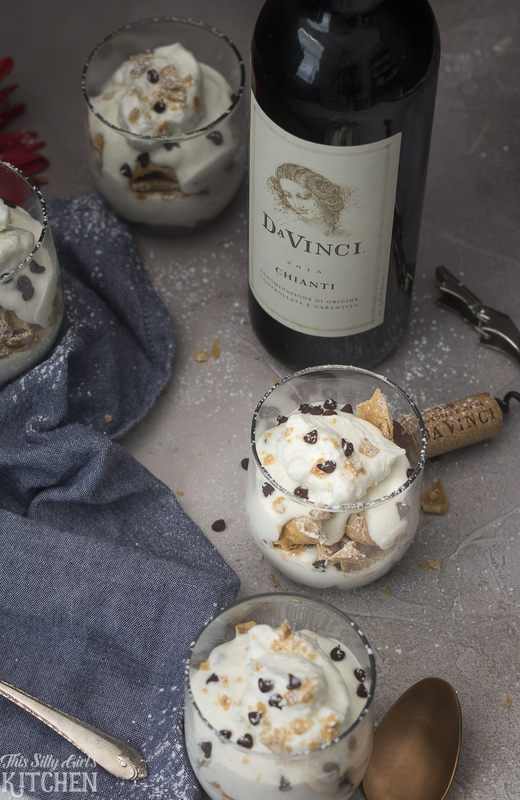 You have me hungry for parfaits and wine – and it’s only 9am LOL. My husband is going to dieeee when I make these for him <3 He's obsessed with cannoli and these look amazing! These look amazing!! Cannot wait to try them!! !